The third Thursday in November has arrived and the new wine from Beaujolais has made it into the shops. This year, that third Thursday has fallen on the 17th which means that there is less time for the wine makers to work with. Also, the European summer of 2005 was not especially hot. Despite these factors, the new wine that I have tried so far has been good and the wines seem to be better than in 2004 though not up to the standards of 2003. Hertie had a good range ready for opening time. 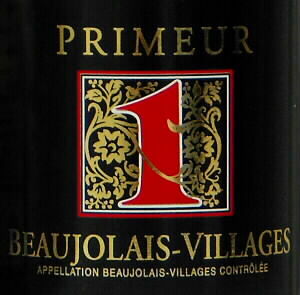 The Euro2.49 Beaujolais Villages bottled for La Reine Blanche is good value. It is almost the cheapest that they offer and yet it is a rich textured, full bodied wine. There is a touch of blackberry in the taste and they have done well to control the acidity that can sometimes be excessive in this wine. Hertie also offer a cheaper straight Beaujolais from the same bottler at Euro1.99. It is a little fresher, rougher and more acidic but, at my regular New Beaujolais event, it was just as popular and nobody turned their nose up at it. We also have a selection of wine from other outlets and will report on those in the coming days.